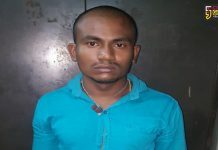 At the age when everyone thinks about their career a 27 year old Mechanical engineer left his lavish job and start a mission to make the country child beggars free. 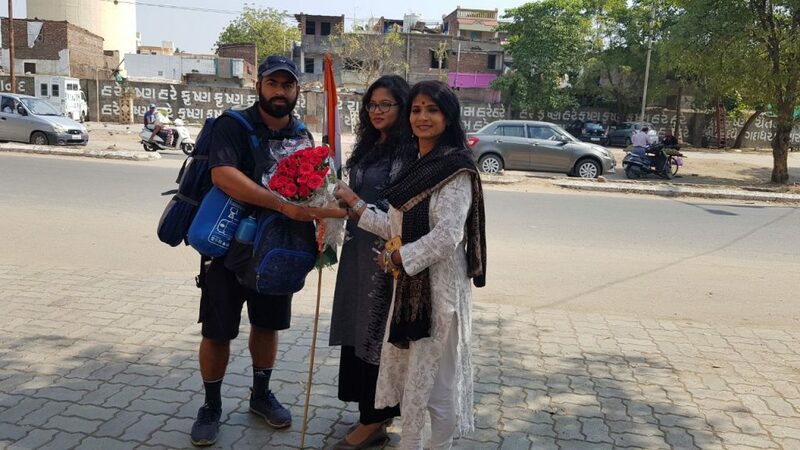 Ashish Sharma walk on foot with a target to cover all the states and union territories in one year and spread the message to make India free of child beggars. 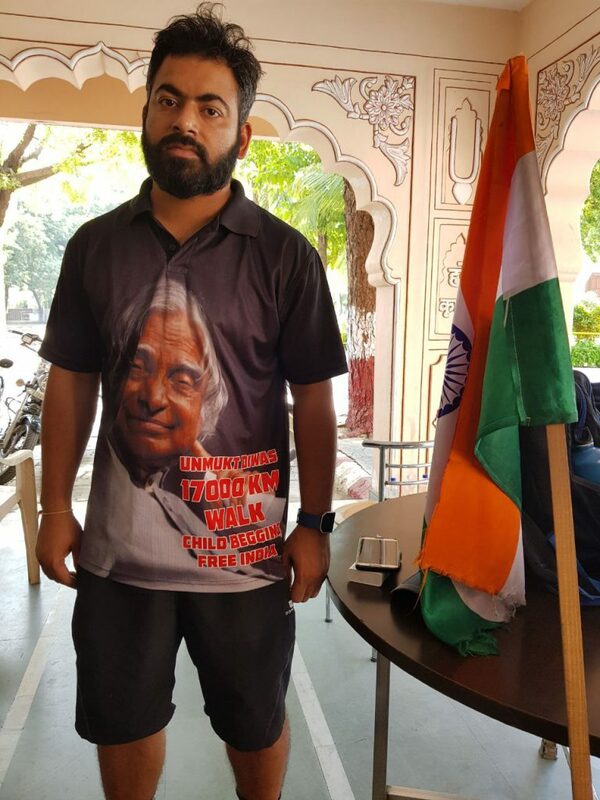 Under Unmukt India mission he started from Udhampur in Jammu on 22nd August and wish to end up in Rameshwaram at the home of former President of India late Abdul Kalam Azad. With his Duayen foundation he is spreading the message everywhere to get the support of the people for his mission. “By profession I am a Mechanical engineer and worked in Danblock India Private Limited at Sonipet as production engineer. I left the job to fulfil my mission to make India Child beggars free. I started walking on foot from Udhampur Jammu and will cover 29 states and Union Territories in a year long walk. I am expecting to cover 17000 kms on foot which may be extending upto 25000 kms,” said Sharma. 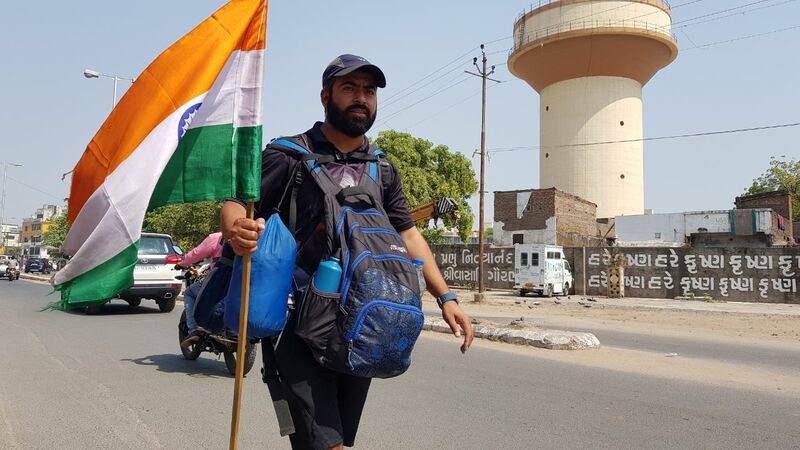 Sharma walks 70 kms daily covering his distance and after completing 2862 kms in 64 days reached Vadodara on Wednesday. He was warmly welcomed by members of Faith foundation in the city and they extend their support to help him in his mission. “On 14th June 2018 my effort is to celebrate Unmukt Diwas everywhere in India. On the day everyone takes pledge to help India free from child beggars. With my Duayen foundation we stuck posters and banners at every railway stations for the Unmukt Diwas from next month and request everyone to join the movement. We also design a mobile application with the details of the movement. 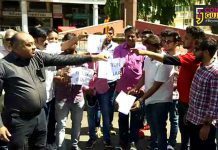 A person can click the child beggars in the area and upload the picture which directly reach the respective police station as we also join local police stations and ministry of Appellate,” said Sharma. 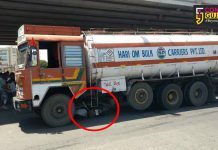 So what stuck him to left a promising career for social service and he said the child beggars on Delhi roads makes him seriously thinking about the problem. “In saw a nine year old child with scratches on his hand and was seriously need of a dose as he was a drug addict. I took him to a rehab centre and after him I rescued eight more such children from the streets of Delhi. I then decide to start a mission to make India free from child beggars as this problem is not in Delhi but everywhere. I left my job and start this mission in spite of the accusations by friends and family. I will walk for one year on foot and spread the message,” said Sharma. People walk alongside him in his mission and appreciate him for the initiative. He also get the support from the local NGO’s wherever he reached and they then continue his initiative after he left the city. He wish that PM Narendra Modi will take the topic in his Mann ki Baat. He feel satisfied as the youths joined him in his mission and continue the work in their cities like the college students done in Hoshiyarpur. After that his target is to gather 10 lakh people in Delhi for the same mission.